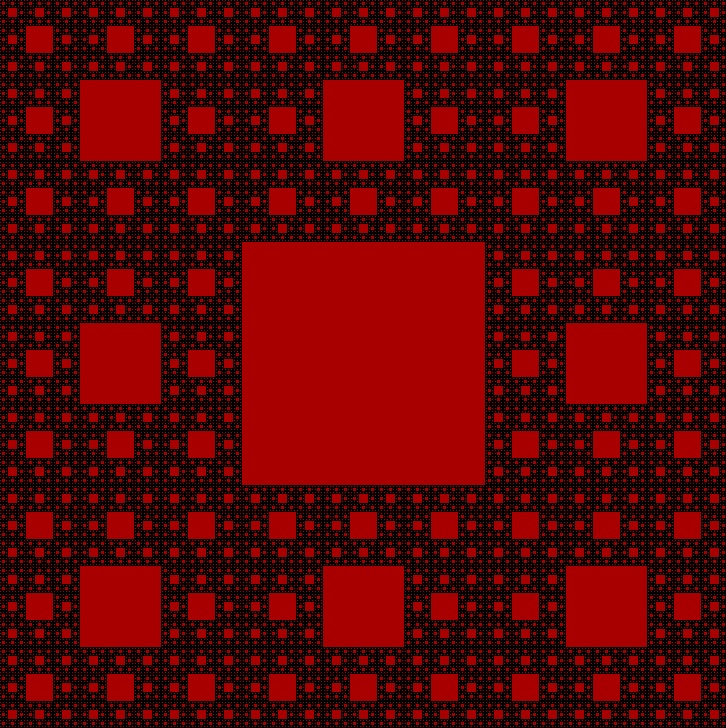 The Sierpinski carpet is a straightforward example of a fractal that you can code conveniently using recursion. We converted the c code in Wikipedia to Pascal. Program SierpinskiCarpet recursively divides each blank square into a grid of nine squares and colours the central square. It produced the following output. Program SierpinskiCarpet uses the graph unit which is available in Lazarus but not in Delphi. See also the Smart Pascal version. //If the grid was split in 9 parts, what part(x2,y2) would x,y fit into? //if in the centre square, it should be filled. //For best results length of side should be a power of 3. Program SierpinskiCurve provides good examples of mutual recursion. The code is based on the outline given in Recursion via Pascal by J. S. Rohl. The code was designed to enable continuous drawing by a plotter rather than for the console, which had poor resolution back in 1984! We show the curves of order 1 and 3. Try to predict the output of other orders before running them. We now have an online Smart Pascal demonstration. Lines and procedures are named by the letters of the compass directions that the output is following. For example, LineSE draws a diagonal line from top left to bottom right and procedure N draws a sequence of lines starting one diagonal line above bottom of the graphic and finishing one diagonal line below the top. 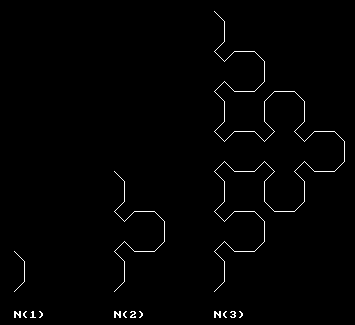 The following graphic shows the increasing complexity of the output of procedure N as the order increases from 1 to 3. We include forward declarations of procedures S, E and W because they call each other and otherwise the calls to procedures not yet coded would not be accepted by the compiler. To run the program in Delphi 7, download and add wingraph.pas to the project as described in a section of our graphics tutorial. The first four lines should be as follows, with the rest of the program as above for Lazarus. You should be tempted to ring the changes on these programs, for example by changing line colours, fill colours, and line drawing procedures. 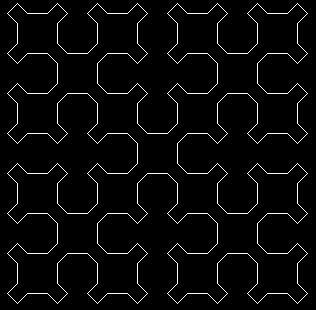 Try to superimpose fractals with different orders. You can find plenty of other fractals to code and join the growing number of fractal artists.